The ultimate insider's story of a turbulent decade of English cricket as told by the country's most successful captain. 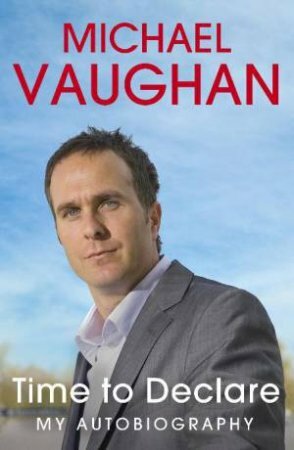 Michael Vaughan tells the full, compelling story of a remarkable career from his early days at Yorkshire, to his emergence as a world-class batsman; from the successful partnership with Duncan Fletcher that culminated in the raising of the urn at The Oval in 2005, to the recurring injuries that ultimately forced his retirement.With the insight that helped him bring the best out of personalities as different as Freddie Flintoff, Kevin Pietersen and Steve Harmison, the winner of a record 26 Tests as England captain shares his views on the state of cricket today and gives a frank assessment of fellow players, coaches and administrators. He concludes with praise for the achievements of the 2009 Ashes-winning England team.Entertaining, forthright and surprisingly candid, Time to Declare is essential reading for all cricket lovers the definitive account of the career of one of the modern game’s most influential characters.